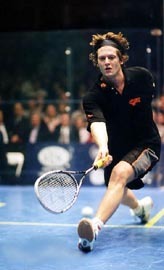 The International Racketlon Federation (FIR) today makes official the calendar of the 2007 FIR Racketlon World Tour. 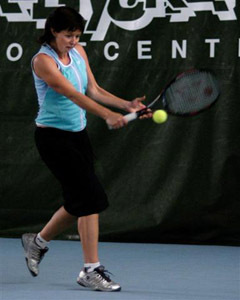 A cousin of triathlon and decathlon, Racketlon is the sport where players challenge each other in all four of the world's major racket sports; table tennis, badminton, squash and tennis. Four sets to 21. Most points is the winner. -The Netherlands (with a World Champs just after Christmas!) move up from Challenger status. - Bulgaria is also removed. Several of the existing tournaments have new venues; Hungarian Open moves to Budapest, the Finnish Open to Espoo (a gigantic complex outside Helsinki), the German Open to Rüsselsheim (still close to Frankfurt), and the English Open, finally, back to London (to a new venue though, in Redbridge, near Stansted airport). The Challenger level (prestige factor 0,5 in the FIR World Ranking System) that was introduced in 2006 (see newsitem) in order to provide a simple way for new tournaments to compete for a position on the World Tour is maintained. Tournaments on this level will be announced as they emerge during the year. There are also indications that former table tennis world #1 Jan-Ove Waldner might be interested to try Racketlon when his incredibly successful table tennis career comes to an end. 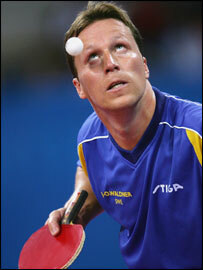 Just turned 40 and regarded by many as the best table tennis player the world ever saw, he is still winning; He became Swedish Champion again in 2006! And is said to play a strong game of Tennis - occassionaly against fellow Swede Mats Källberg, known to be the best table tennis player on the Racketlon World Tour - so-far! 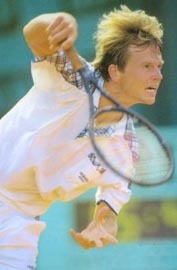 Power, Edberg, Waldner. Three potential challengers on the 2007 Racketlon World Tour! If the reader of this press release is an excellent all-round racket player the FIR Racketlon World Tour provides an opportunity to find out if he even, in fact, is a top international racketlete. But the tour events are not targeted on elite players only. Anyone can take part (most events will contain at least three separate classes for amateurs, at least on the men's side) and everyone will get a position on the FIR Racketlon World Ranking. 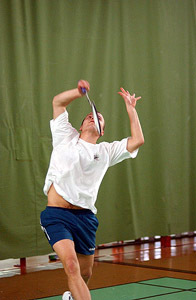 More information about Racketlon in general and the tournaments of the tour in particular can be found at www.racketlon.com, the homepage of the International Racketlon Federation.